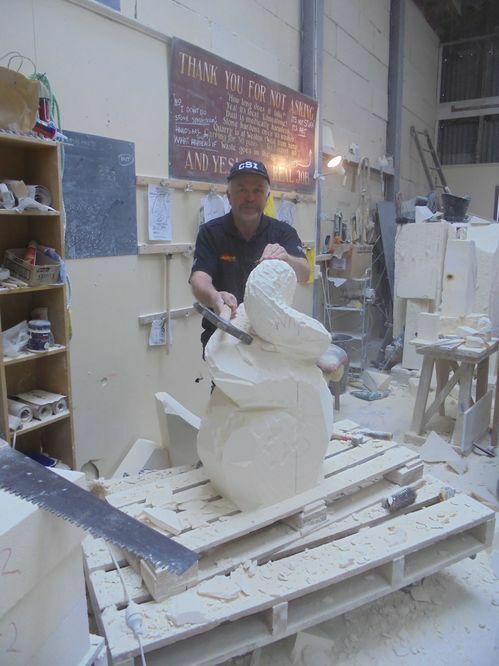 Ian Andersen is an internationally recognised limestone sculptor. 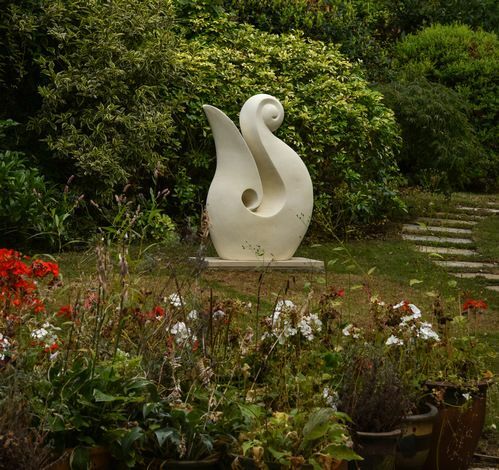 Many of his sculptures have ended up in homes all over the world. 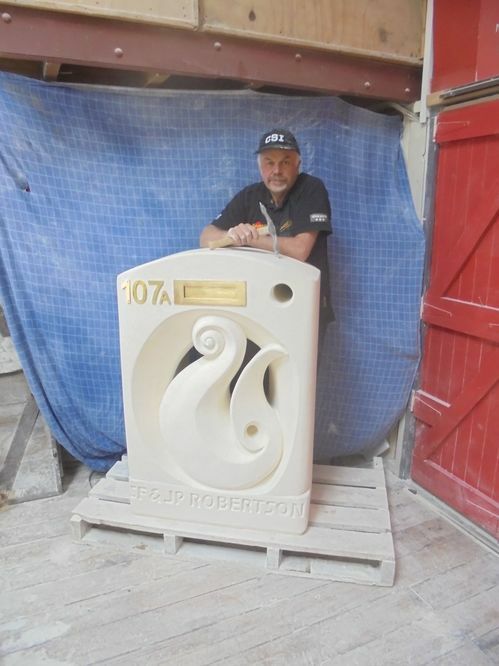 He works from his gallery and workshop in Harbour and Tyne streets in the Historic Precinct of Oamaru, which is in the South Island of New Zealand. All the work in the gallery is designed and hand crafted by Ian using traditional tools and methods. 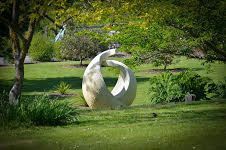 Sculptures can be purchased online and shipped directly to you. Ian will also work to your own designs, undertake commissions and do commercial work. If you visit the workshop you can see small souvenirs and larger signed original art pieces. You can also enjoy an amble through the gallery displaying Ian's prized works. The Gallery welcomes all inquires. Contact Ian here. 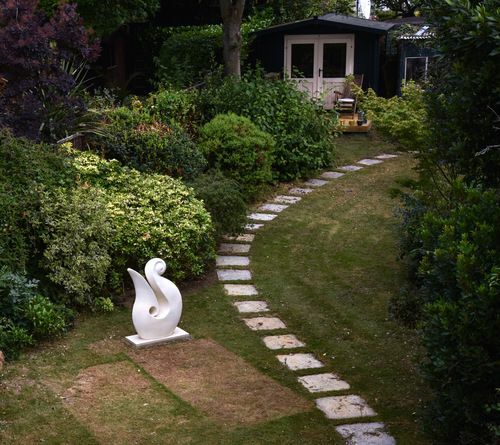 Above and right: Large 'Hook' sculpture in its setting in a private London garden. Below: Ian at work in his studio.